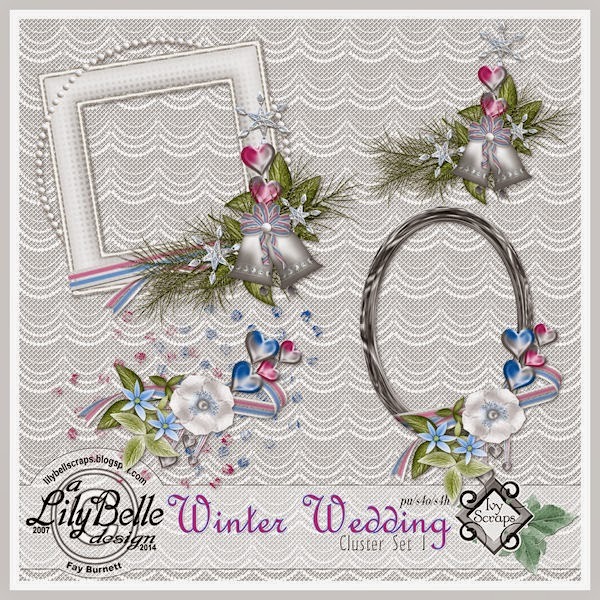 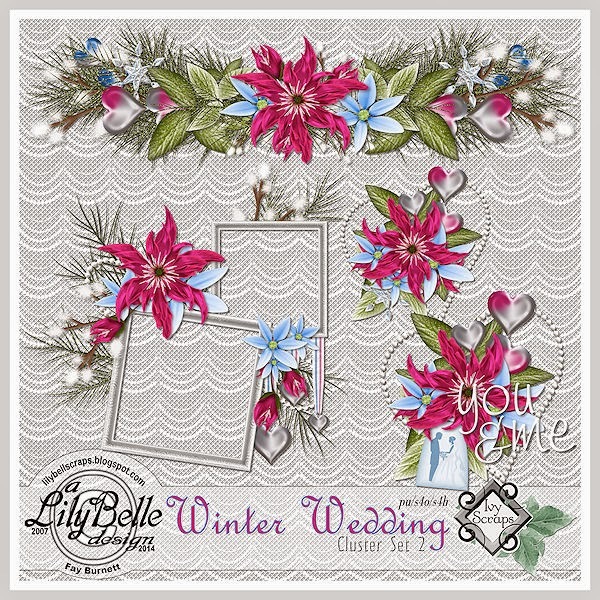 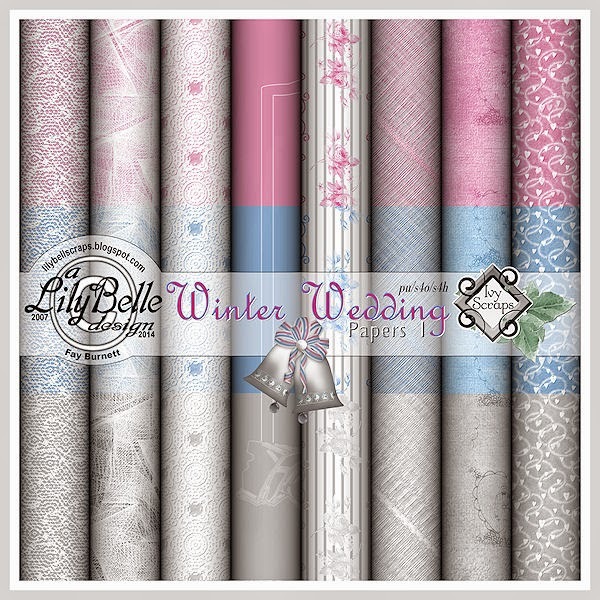 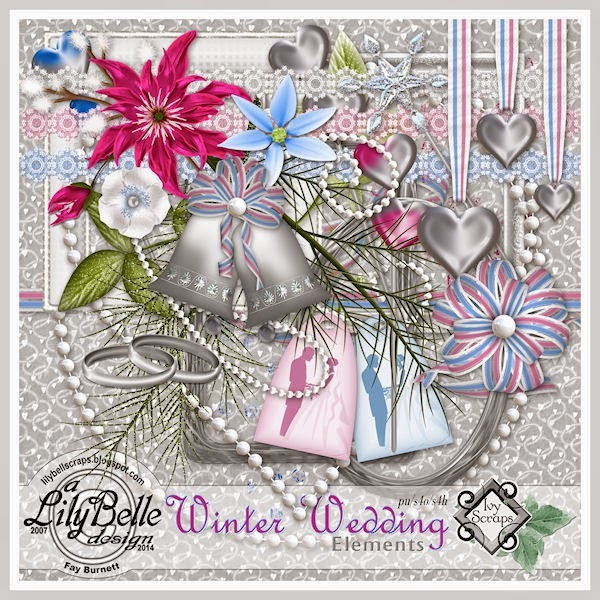 The “Winter Wedding” kit previewed below is available for FREE to fans of Ivy’s Facebook page during the month of December. 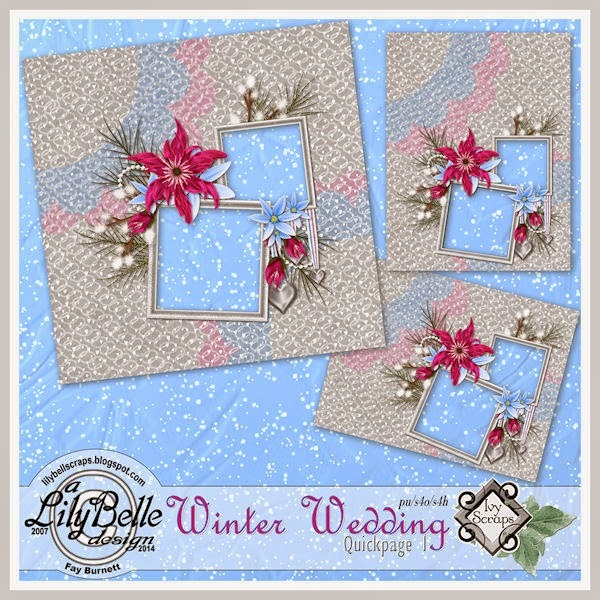 The cluster sets are also FREE for participating in the ATC and Calendar Challenges hosted by Bernie in Ivy’s forum. 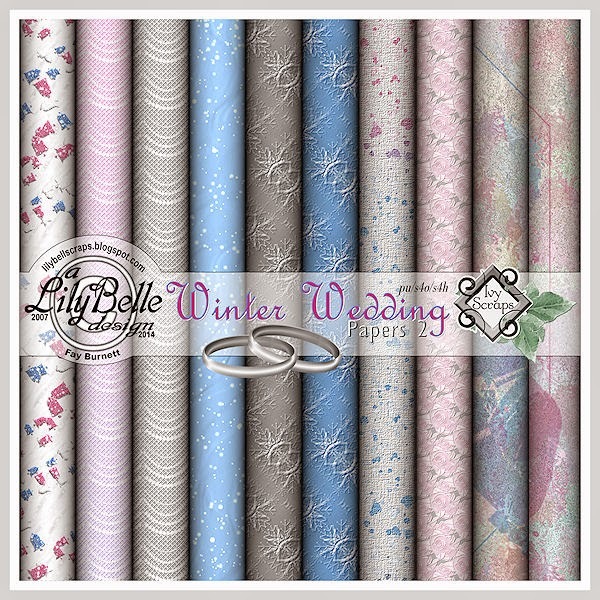 For the readers of LilyBelle Scraps, a quickpage in three size formats can be downloaded using the links at the end of this post.